Come meet us at MobileIron Live! 2017 in Santa Clara. SAN DIEGO, April 2017 - MobiSystems will be an Innovation Sponsor at the upcoming MobileIron Live! event in Santa Clara, California. Come by our booth at the Innovation Zone and check out how OfficeSuite provides a secure and comprehensive mobile office environment to enterprise customers of Mobile Iron AppConnect. A recipient of the Gold Award for Best Single-Market B2B Event for 2016 in The Ex Awards MobileIron Live! is the premier event for immersive learning about enterprise mobility and security. The three day-long event will give you the opportunity to explore concepts and ideas, expand your network of industry pros, as well as get a glimpse of the new technologies and innovations that will shape the industry in the months and years to come. 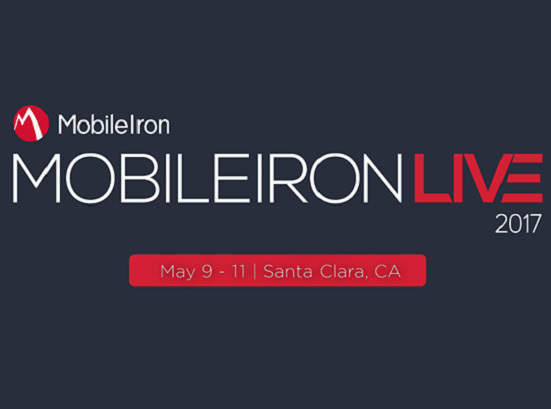 MobileIron Live! 2017 will be held between May 9 - 11 at the Hyatt Regency Santa Clara in Santa Clara, California. Schedule an appointment with us by contacting bizdev@mobisystems.com. MobiSystems, founded in 2001 and entirely privately held, has been a leading provider of mobile productivity and business apps for over 10 years. As the developer of the award winning mobile app OfficeSuite, MobiSystems serves over 300 million individual and enterprise users in 205 countries. OfficeSuite is the Google Play Editor's Choice, and the top app in the business category with over 750,000 reviews. It is also PC Magazine's Editor's Choice, InfoWorld's Best Office App for Android, and LifeHacker's Best Android Office Suite.